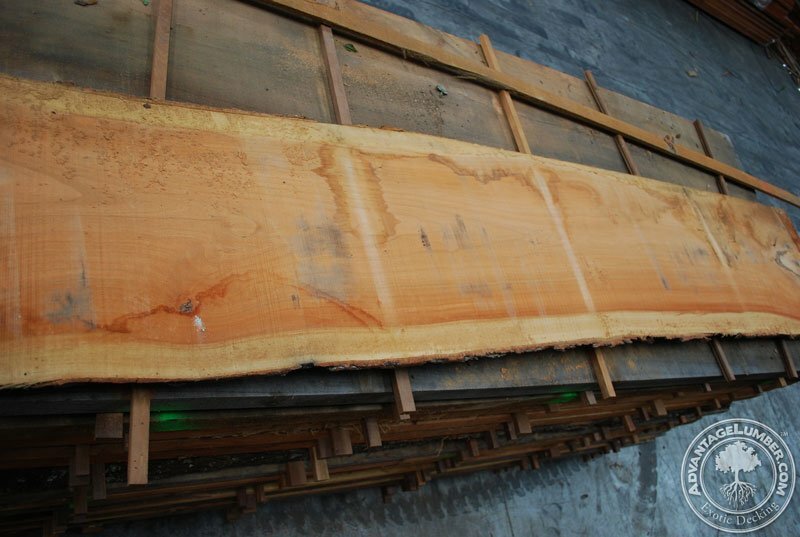 Often used in furniture making, wood working, and flooring, American Cherry has become a staple in the industry because of it’s ease of handling. It has had a strong, positive reputation for many years with wood workers. Unfortunately, this beautiful wood is often stained to the point where its colors are lost. The natural tones of American Cherry range from light browns to darker reddish tones, with highlights of white from sap wood. This entry was posted in Domestic Hardwood, Wholesale Decking, Wood of the Month, Wood Siding and tagged American Cherry, Black Cherry, Cherry Wood, wood of the month on August 5, 2014 by Mr. Ipe Hardwood. They’re so quick and easy to install they’ll walk out the door! We have a large quantity of beautiful, exotic Brazilian hardwood deck tiles in stock and we’re offering them to you at incredible wholesale pricing. Advantage Deck Tiles are available in ipe, cumaru, massaranduba and tigerwood. They’re exceptionally hard, durable and naturally resistance to pests, weather and decay. Our deck tiles are extremely low maintenance and naturally fire-resistant and slip-resistant. This entry was posted in Decking Tiles, Wholesale Decking on February 21, 2014 by Mr. Ipe Hardwood. According to industry analysts, the residential market for tropical hardwood decking will account for the vast majority of a 7.0 percent growth in imported hardwoods. More homeowners are selecting tropical hardwoods such as such as Ipe, Tigerwood, Cumaru, Garapa and Massaranduba because of their long term durability, fungal and insect resistance, and imperviousness to damage caused by moisture. They also value the fact that decks made from tropical lumber require much less maintenance than other wood types. This entry was posted in Exotic Hardwood, Ipe Decking, Wholesale Decking on February 21, 2014 by Mr. Ipe Hardwood. 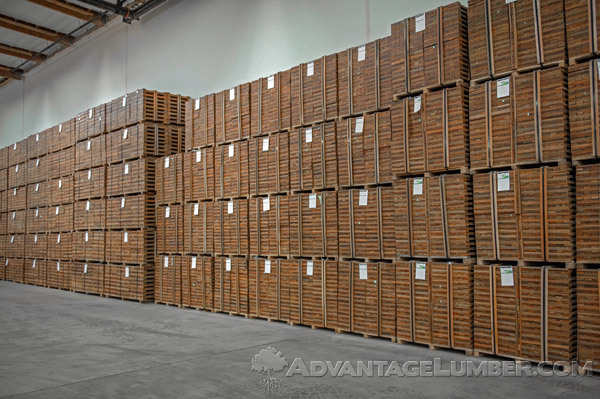 Advantage Lumber prides itself in supplying high quality, responsibly harvested material to builders and contractors of high-end projects. One such project was the Tigertail Beach boardwalk at Marco Island, FL. The previous boardwalk was an absolute mess, filled with cracks and a slip and fall safety hazard. Because the local government decided to change it, the contractor immediately thought of Ipe as the best alternative to the issues that were plaguing the Tigertail Beach boardwalk. Ipe has many qualities that make it the perfect wood for an outdoor boardwalk. This wood has an outstanding, 75 year lifespan coupled with resistance to decay, mold, mildew, rot, and termites. For every beach community, the hot climates and ocean moisture can wreak havoc on common softwoods and even some hardwoods. Ipe on the other hand, is able to stand up to all these elements without constant maintenance. Listen to why Ipe was chosen for this beach boardwalk by the builder himself. Ipe has been used worldwide in a variety of applications. And if you’re wondering if it is good for your home, remember the Tigertail Beach boardwalk at Marco Island, FL. This entry was posted in Ipe Decking, Wholesale Decking on November 8, 2013 by Mr. Ipe Hardwood. This Tigerwood deck will be an attractive place for patrons to sit, eat, and relax. Why is Tigerwood a great decking option for California homes and businesses? For starters, Tigerwood is instantly attractive. Many of our customers in California have told us that they enjoy working with such an easy material because it cuts labor costs and install time. We’ve even had customers call us to say that the second their commercial project was completed they saw an immediate increase in business thanks to more walk in traffic and customer interest. It’s not hard to imagine people walking by this pizza parlor in San Francisco and staring at it. With those rich colors of rusty oranges, brown, and dark black streaks you would only need one attempt to guess this wood’s name. 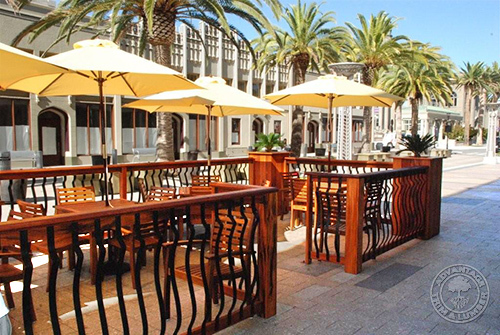 From California to New York, you can find more and more outside commercial projects using exotic and eco-friendly decking materials like Tigerwood. This entry was posted in Eco-friendly wood, Exotic Hardwood, Wholesale Decking, Wood Decking and tagged Tigerwood, Wholesale Decking on September 1, 2010 by Mr. Ipe Hardwood. Advantage Trim & Lumber exports hardwood and wholesale decking throughout the world. 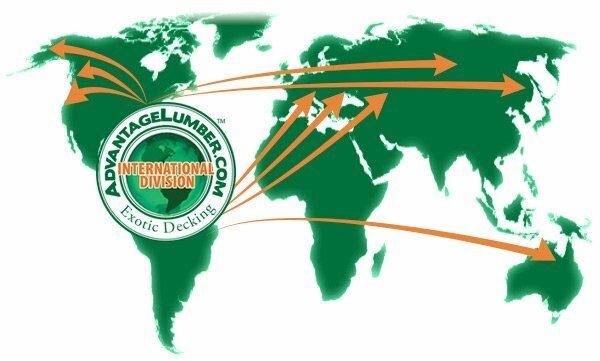 So, whether you’re in the United Kingdom, Greece, India, or Australia, you can contact our International Wholesale Lumber division. 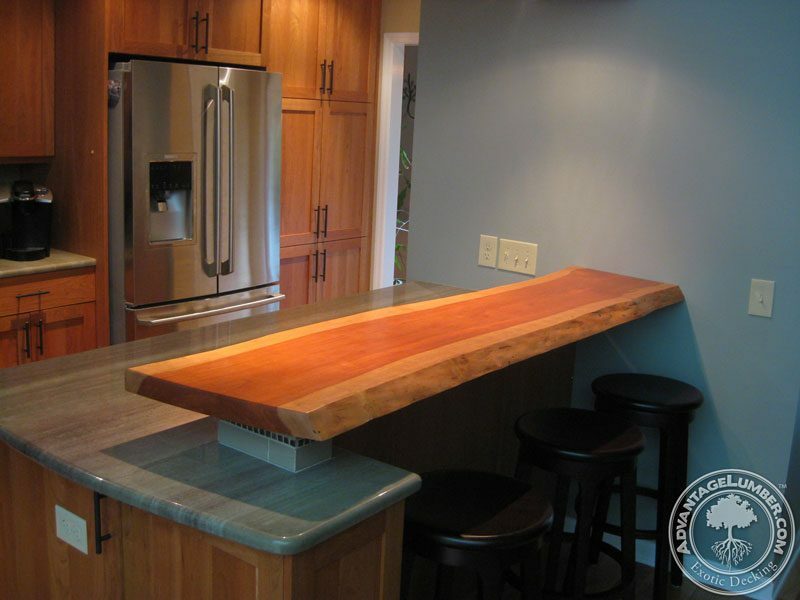 We’ll make sure that you order the finest quality lumber at exceptionally great prices. This entry was posted in Wholesale Decking and tagged International Lumber, Lumber Export on February 1, 2010 by Mr. Ipe Hardwood. The town of Silverthorne, Colorado recently announced that their newest bridge over the Blue River will use ipe wood. According the this news article on the Blue River Bridge, they chose to use ipe because of its “70 year life expectancy.” I bet they will be thrilled 70 years from now when the future citizens realize that they will have at least another 30 years of use out of their ipe bridge choice! Once again, this proves that for high end applications, or commercial applications that require a resilient hardwood, this exotic hardwood from Brazil is the best choice. The town of Silverthorne has chosen a wood that can and will hold up against the harsh winters that are sure to bring snow and a ton of moisture to the area. If you’re wondering what other bridges would use ipe, how about the Brooklyn Bridge? Truly one of America’s greatest architectural landmarks, the Brooklyn Bridge walkway is truly a breathtaking experience. At Advantage, we have supplied wholesale ipe decking for a whole host of applications. So, if you’re looking for a wholesale lumber supplier of exotic hardwoods and are sick of getting obscenely priced bids, contact us. Better yet, we can ensure that you get your containers in days so your project won’t wait weeks, or months for your shipment. This entry was posted in Ipe Decking, Wholesale Decking and tagged ipe bridge, Ipe Decking Wholesale, Wholesale Decking on September 14, 2009 by Mr. Ipe Hardwood.